Last weekend was WaterWerks on the Green 2014 and It was a huge success. Despite a little rain, most of the day was overcast and partly sunny. It was much better than all of the bees that we had into 2013. I was told that regularly throughout the day. The day began as a cold crisp morning with the dramatic outside as a backdrop. Volkswagen of America was there with Tanner Faust’s VW beetle rally car as well as their entire lineup of 2014 vehicles. They even had a tornado red GTI in attendance. Not only did Volkswagen have all of their cars at the event, they also were heading out lots of swag including blankets umbrellas Chapstick sunblock and other items. There was a long line throughout the day at their booth. We also did our typical events such as the teeter totter, tug-of-war, red light green light and a new event we came up with on a whim, the loudest exhaust contest. 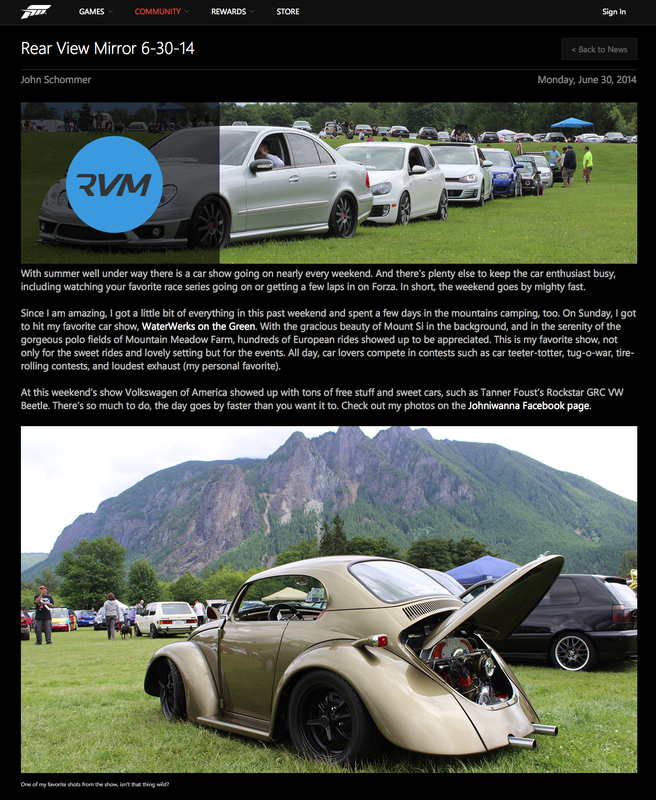 Thanks to our club sponsor Death by VW for coming up with that idea. The Berliner restaurant and TNT were there serving delicious food including German style brats, authentic German beer garden, turkey legs and pulled pork sandwiches. If you didn’t get any of that food you really missed out. By the end of the day the rain came and flushed most of the spectators away. But the hard-core show people remained to receive their awards and trophies. Overall the day was amazing. 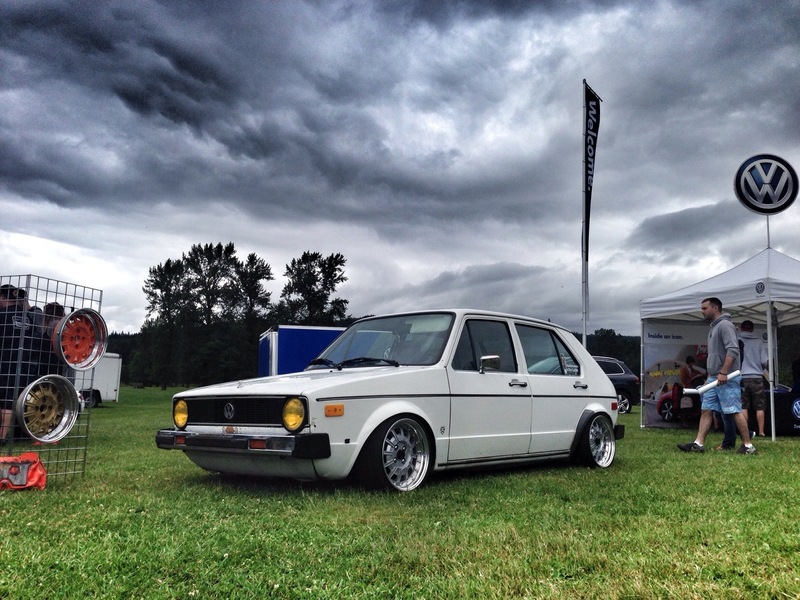 There were approximately 2000 people in attendance with over 500 show cars in the show field. We also just saw that Forza just posted a write up on our show. You can see it on their website website here. WaterWerks is just a few days away. 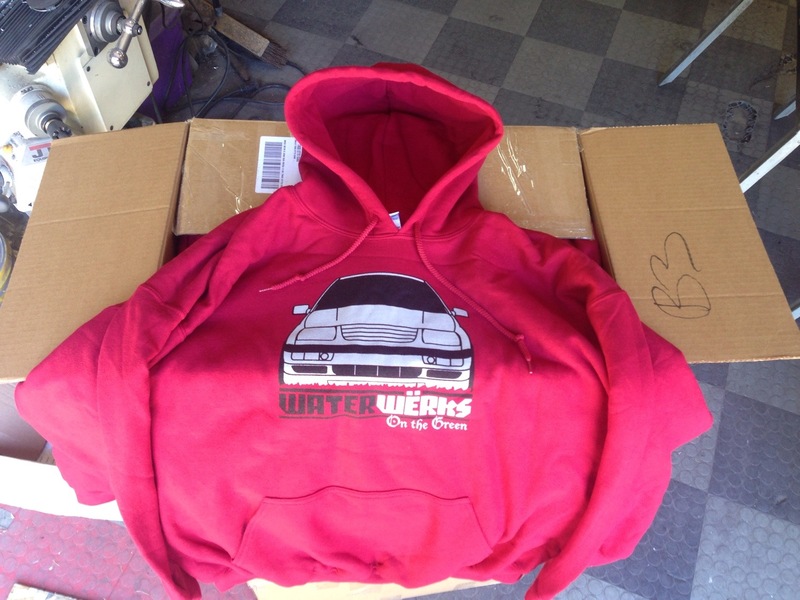 Today we just received a new shipment of our WaterWerks on the green 2014 hoodies. As you can see they’re really cool. These hoodies are only available at the show so you might want to buy one as soon as possible get there. There’s limited quantities. Also we will have a Dyno at the show this year. You can come down and see how much horsepower your car has got. Make sure you mark your calendars for this Sunday, June 29, 2014 at Mountain Meadow Farms in North Bend Washington. Make sure you swing by our title sponsors booth, Volkswagen of America. 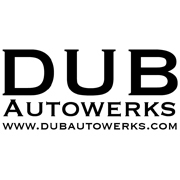 WaterWerks NW is happy to announce that Dub Autowerks in Sumner, WA has just signed on as a gold level sponsor for WaterWerks on the Green 2014. 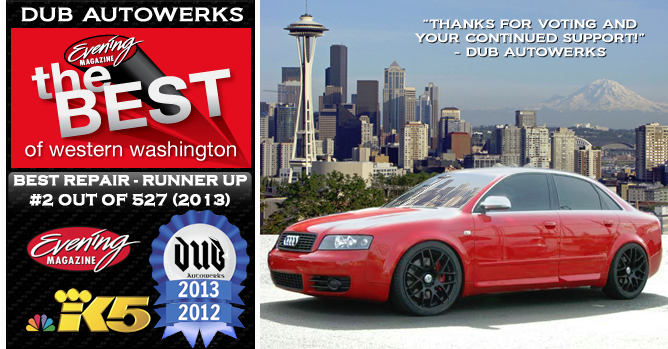 Dub Autowerks offers VW / Audi repair and factory quality maintenance at a fair price. They charge 30-50% less than other shops, use the highest quality OEM parts, offer a 2 year 24,000 mile warranty and you Do NOT pay unless it’s fixed. 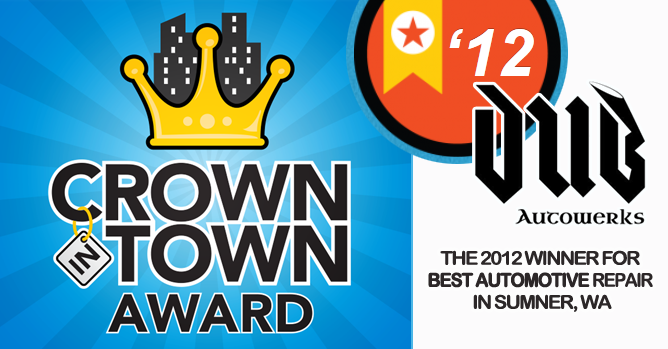 Dub Autowerks was voted #2 out of 527 repair ships in Western Washington in 2013 and made them the highest ranked European shop in Western Washington two years in a row!